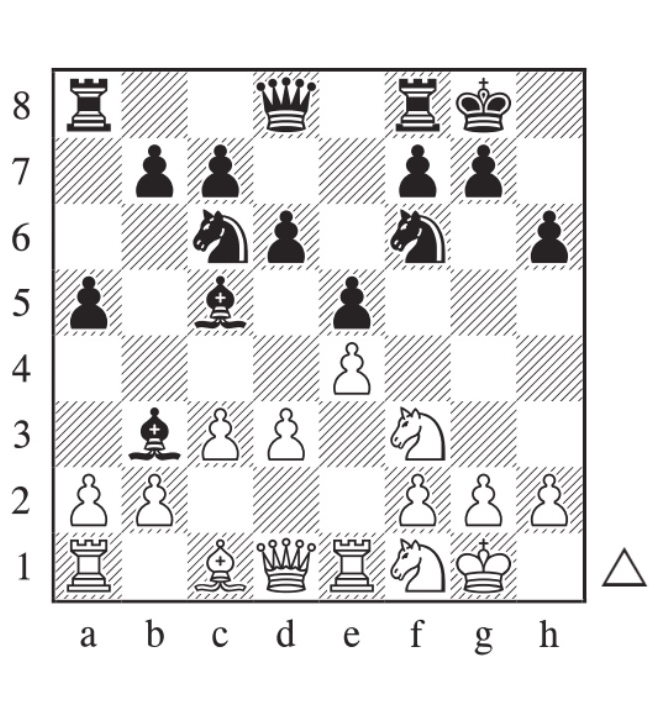 Some posts on this blog have drawn attention to the fact that the line 1.e4 c5 2.Nf3 d6 3.d4 cxd4 4.Nxd4 Nf6 5.f3 is not mentioned in Grandmaster Repertoire 6A – Beating the Anti-Sicilians by Vassilios Kotronias. We have decided to make this chapter freely available as a pdf here. “Early this year we were interested to hear from Chris Wainscott, an enthusiastic amateur from the US and an avid fan of our books. Soon the ‘Quality Chess Challenge’ was born, and earlier this week we were excited to receive an update from Chris about his training. We are pleased to present a guest blog post from the man himself, where you can find out about the goals he has set for himself and his progress so far. 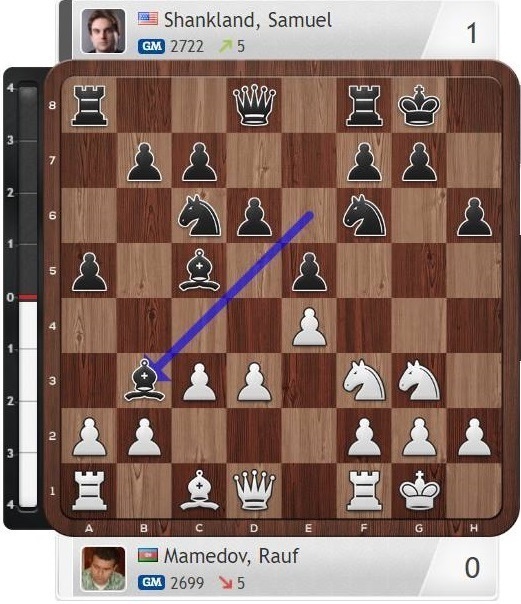 Before I delve in to detail, let me first take a moment to acquaint the readers of the Quality Chess blog with myself and the Quality Chess Challenge. My name is Chris Wainscott and I am from the USA. I am 43 years old and currently working to prove that it’s quite possible to become a master after the age of 40. I stopped playing chess in 1992 and didn’t begin again until 2011. At that time my Elo was just under 1500; now I am 1800. 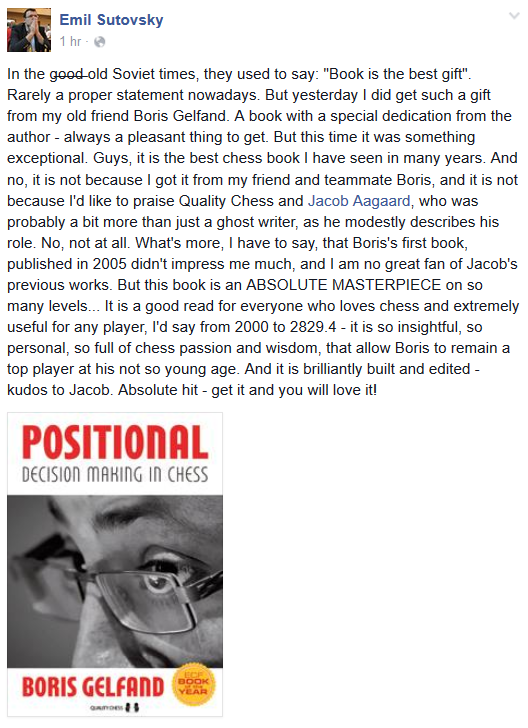 The Quality Chess Challenge came out of a discussion between a friend and myself that caused to me make the offhand remark to Jacob Aagaard that I felt that it would be possible for me to get to 2200 reading nothing but books published by QC. So for one year, from 2/13/17 through 2/13/18 I am committed to training using only books published by Quality Chess. Of course I don’t expect to become a master in that time frame, but I do expect to show the value in using high quality training materials. Right now I’m about one quarter of the way through the Challenge, so it’s time for a progress update. We’ll start with the most obvious thing. Current Scottish Champion GM Keti Arakhamia-Grant and former Scottish Champion Jonathan Grant, both FIDE Trainers, are running a training seminar in conjunction with Edinburgh Chess Club, on the topic of Critical Moments. The primary focus will be on practical application through solving exercises and playing positions after following demonstrated examples. Aimed at all aspiring players prepared to work hard on improving their game, up to titled level. The fee, whether attending one or more sessions, is £49 for adults and £35 for juniors (U18). For further details, see the Chess Scotland noticeboard. How much chess do you play? The chess season in the UK runs from roughly October-May, so now seems like another good time to ask about your own playing habits. The majority of games are played in midweek league matches or weekend congresses, and there are also 9 round international tournaments on the continent almost every week (and a growing number here too). Last week’s poll showed a clear preference for Magnus Carlsen to behave like Merv Hughes over Alastair Cook.